Don Fischbach has more than 30 years of experience in the oil and gas exploration and production business. He counsels clients on matters of lease acquisition, operations, finance, land, exploration, risk management, government relations/regulation, labor, and litigation. Don also is experienced in NYSE, SEC and FERC rules, equity transactions and credit facilities. Before joining Calfee, Don spent 10 years as General Counsel and Secretary for an independent oil and natural gas exploration and production company, where he led or participated in legal projects that included the initial public offering of an NYSE company, negotiating credit facilities, bond transactions, asset purchase and sales agreements, and complex litigation. He is experienced in environmental and regulatory compliance matters, including self-audit and reporting processes, as well as marketing and transportation agreements for crude oil and natural gas. Don also has worked as an inter-corporate landman responsible for acquiring oil and gas leasehold and exploration rights. Don is a member of the American Bar Association, the Ohio and Oklahoma Bar Associations, the Rocky Mountain Mineral Lawyers Association, the Institute for Energy Law, Oklahoma Independent Petroleum Association, the National Association of Corporate Directors, the Society of Corporate Secretaries and Governance Professionals and the Ohio Oil and Gas Association. 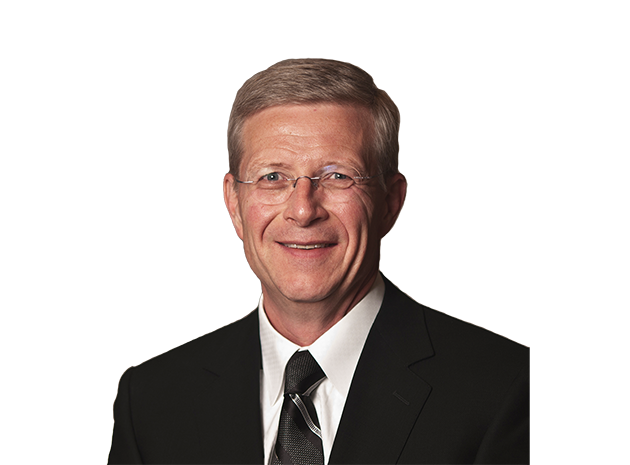 In 2014, Don was recognized as a member of “Who’s Who in Energy” by business journal publications in Columbus, Denver, Dallas, Houston and San Antonio. Don joined Calfee in 2012. The following is a partial list of publications Don has either authored or was quoted in for his expertise. Houston Business Journal regarding Ohio’s wait for the boom as the oil production numbers go up in 2014, November 15, 2013. This story was also picked up by business journals in several states including Missouri, Texas, Pennsylvania, Colorado and Ohio. Publications across the country ran versions of this story including: Columbus Business First, Houston Chronicle, Bellefontaine (OH) Examiner, Intelligencer/Wheeling News-Register, San Francisco Chronicle and the Associated Press.